Virgin America begins flying today from San Francisco to Kahului, Maui with connecting flights from most Virgin America markets. As the only California-based airline, Virgin America will offer Bay Area travelers a fresh and upscale new travel option to Maui. 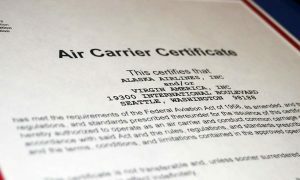 The airline launched service to Honolulu, Hawaii last month. Hawaii continues to be the number one tourism destination from the West Coast, with over 3.3 million visitors in 20141. “As Hawaii is one of the most popular leisure destinations among Bay Area travelers, we are thrilled to begin our nonstop flights to Maui today on the heels of our launch to Honolulu just last month – and continue the expansion of world class destinations we fly to,” said John MacLeod, Senior Vice President of Sales and Planning at Virgin America. “Virgin America and Maui are a perfect travel combination that residents throughout the San Francisco Bay Area will love when making their vacation escape. 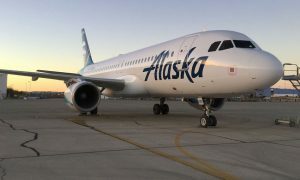 We are excited to have one of the nation’s top-ranked airlines flying to our island paradise, which is annually honored as one of the best destinations in the world,” added Terryl Vencl, Executive Director, Maui Visitors and Convention Bureau. In November, Virgin America launched daily nonstop flights from San Francisco to Honolulu with a series of festive events – including the opportunity for workaholics to score the ultimate “Hawaiiscape” with Virgin Group Founder Richard Branson. 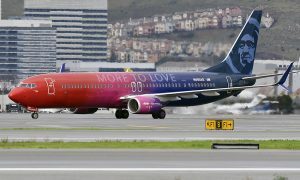 The daily, nonstop flights will be operated with new Airbus A320 aircraft that Virgin America has taken delivery of this year, which are equipped with fuel-saving, ‘sharklet’ wingtip devices, allowing the airline to operate flights more efficiently, especially over longer haul routes. Since its 2007 launch, Virgin America has created more than 2,800 new jobs and expanded its network to include Austin, Boston, Cancun, Chicago, Dallas Love Field, Fort Lauderdale, Las Vegas, Los Angeles, Los Cabos, Newark, New York (JFK and LGA), Orlando, Palm Springs (seasonal), Portland, Puerto Vallarta, San Diego, San Francisco, Seattle, Washington D.C. (IAD and DCA), Honolulu and Kahului, Maui.